In February of 2015, one of our good friends passed away from cancer and left behind her much loved cats. 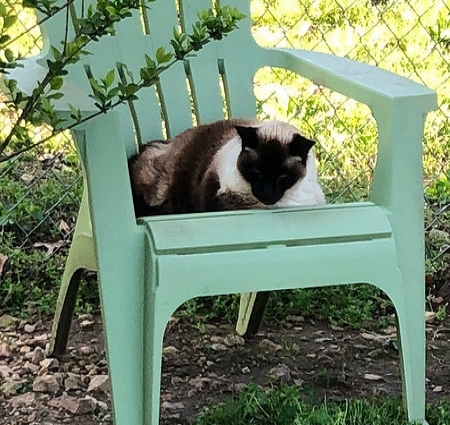 Several friends stepped up to help sort through her estate and more importantly, help place her beloved cats. Five cats came to live at the Sanctuary: Cole, Blue, Sushi, Tabitha, and Molly. 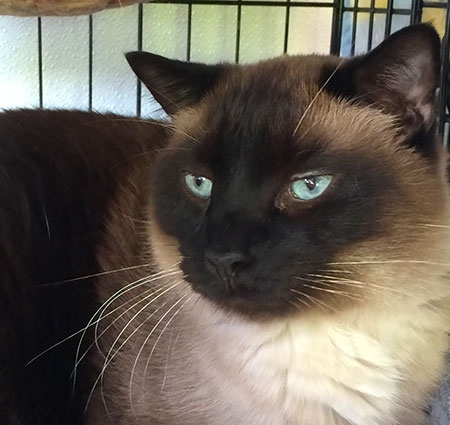 Sushi is a big gorgeous chocolate brown Siamese with beautiful blue eyes. He's still very skittish and won't allow us near him, but we're working on gaining his trust. Want to Sponsor Sushi? Click here to become a Sponsor.